Winston Churchill said, “We make a living by what we get. We make a life by what we give.” While we may all be incredibly busy getting through day-to-day business matters, as a member of the GHBA, there are ample opportunities to make a great life for yourself and your community through our many generous acts of giving. The GHBA contributes to the community through a wide array of sanctioned charities such as Operation Finally Home, Benefit Homes, HomeAid Houston, Frank Aranza Adopt-a-Family Project, the Annual Remodelers Council Garage Sale, the Custom Builders Council charity projects, and the GHBA Scholarship Fund. I hope sharing a short review of some of our charitable successes will leave you as inspired as the generous members who make a better life for us all through commitment to charity. One great example is the annual Frank Aranza Adopt-a-Family Project which is driven by a group of GHBA members who ‘adopt’ families by providing gifts and needed household items for families in need during the holidays. In addition to adopting 40 families through the Houston Housing Authority last year, they also teamed up with BuildAid/HomeAid Houston and provided $6,200 in gift cards for Hurricane Harvey victims’ families. In the last 13 years, the project has provided happy holidays for more than 650 area families. The GHBA Benefit Homes Project engages builder, developer, and associate members in constructing and selling a home to raise money for GHBA sanctioned charities. Now in its 39th year, more than $11 million has been raised so far. In 2019, we are slated for three Benefit Homes, which is a great example of our members’ generosity. The GHBA Remodelers Council’s charitable projects benefit local non-profit organizations, including renovations at SIRE Therapeutic Equestrian Center, ECHOS Community Center, Jacquelyn House, Open Door Mission, Habitat for Humanity and Sonrise Shelter, Family Time Crisis & Counseling Center, and Casa de Esperanza. In 2016, the GHBA Remodelers Council was honored with the National Association of Builders Council Award for Demonstrating Remodeling Excellence (CADRE) in the “Community Service” category, in recognition of its charitable efforts. Since its inception in 2005 by GHBA builder Dan Wallrath, Operation FINALLY HOME has expanded operations into 30 states. Currently, nationwide there are more than 160 homes either completed or in the planning stages. Locally, Operation FINALLY HOME has provided 155 mortgage-free homes and 19 home modifications to wounded, ill or injured veterans and widows of the fallen throughout the United States. HomeAid Houston is a charitable non-profit organization sponsored by the Greater Houston Builders Association, which identifies homeless care providers who need additional capacity and pairs them with GHBA builders, remodelers, vendors and suppliers who donate their time, materials and labor to help build hope and homes for the homeless. Since 2003, HomeAid Houston has completed 50 projects adding $12.6 million in real estate to Houston’s homeless community and provided beds for more than 20,000 homeless men, women and children in our city. HomeAid Houston has now expanded its community outreach through formation of a new non-profit, BuildAid. BuildAid is a partnership between HomeAid Houston and the GHBA builder members, created to provide full home repair services to homeowners across the Houston area who experienced flooding due to Hurricane Harvey. The organization was inspired by David Weekley with a donation of $1 million from the David Weekley Family Foundation (DWFF). BuildAid was later granted $5.5 million from the Hurricane Harvey Relief Fund, due to the great demand by displaced homeowners and the track record of HomeAid Houston. To date, 74 homes have been completed, along with another 56 homes under construction. Seventy-five additional homes have been approved with many more in the application process to follow. Our own GHBA builders are leading the refurbishment of these homes. The GHBA also gives back to the industry by investing in tomorrow’s future in a variety of efforts. For example, each year, the GHBA Associate Council awards scholarships to students whose parents are members of the association through the generous donations of our members. In addition, the GHBA was a driving force in establishing the Home Builders Institute (HBI) carpentry school in Acres Home, for which the association was awarded the HBI Local Community Service Award at the International Builders Show in Las Vegas. The Local Community Service Award honors an organization that has made a significant contribution to the local community. As we serve others, we serve ourselves. A final accomplishment to share is that in 2018, the GHBA was named Texas Association of Builders’ Philanthropist of the Year! Quite an achievement. I am sure many of you are already aware of how the GHBA can help you make a great living, but our greater purpose is to help each other make a great LIFE through giving. Together, we have been capable of incredible charitable successes. I hope these examples leave you inspired to invest in one of the many opportunities that are fostered through the GHBA. Get involved and help us to help each other! 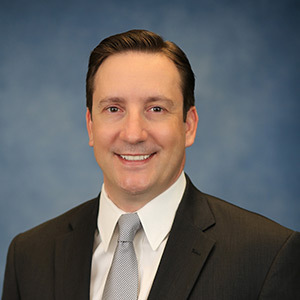 2019 GHBA Board President John Williams is a local home builder with K. Hovnanian Homes.